Mario Cruz is releasing his new book Talibes: Modern Day Slaves, published by FotoEvidence, at the Bronx Documentary Center. Cruz will present his work and be available to sign books. 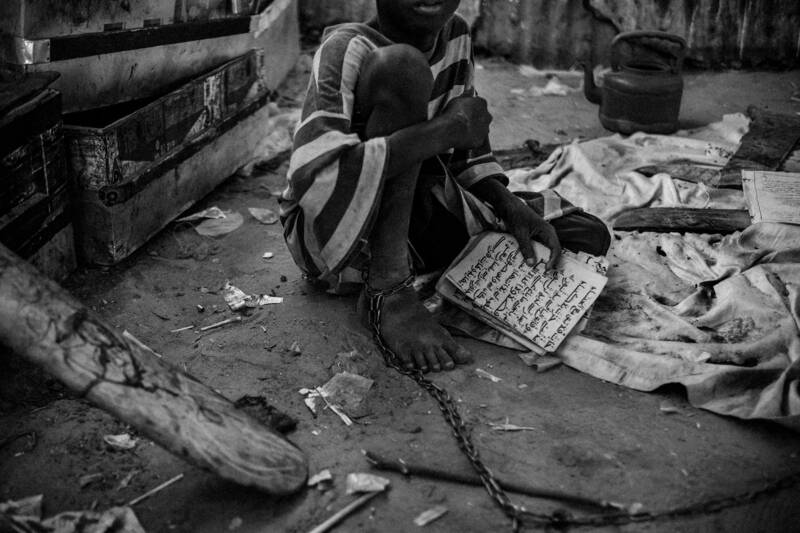 Cruz gained rare access to the dark side of many darras (Koranic schools) in Senegal and captured disturbing but stunning photographs of the lives of young boys subjected to slave-like conditions. The book Talibes: Modern Day Slaves documents an alarming development among the darras that impacts at least 50,000 young boys in Senegal, aged between five and 15. Talibes: Modern Day Slaves contains 70 black and white photographs, an introduction from Lauren Siebert from Human Rights Watch and an essay by Fatou Diouf of We Are One Sn. The texts are in English, Arabic, Portuguese and French. It will provide local and international NGOs working on the issue enduring testimony and concrete evidence about the systematic exploitation of children in some daaras in Senegal. Mario Cruz is working in collaboration with organizations in Senegal and neighboring Guinea-Bissau who are using his images in public education campaigns to spur social change. The work received the 2016 World Press Photo Award for Contemporary Issues and was a finalist for the 2016 FotoEvidence Book Award. Talibes: Modern Day Slaves is available to purchase online at the FotoEvidence bookstore.